Nithya Menen is an Indian film actress and playback singer who predominantly works in Kannada, Malayalam, Telugu and Tamil films. She won 2 Filmfare Awards for the Telugu films Gunde Jaari Gallanthayyinde and Malli Malli Idi Rani Roju. She has received several accolades, including two Filmfare Awards for the Telugu films Gunde Jaari Gallanthayyinde and Malli Malli Idi Rani Roju, a Nandi Awards and a CineMAA Awards. 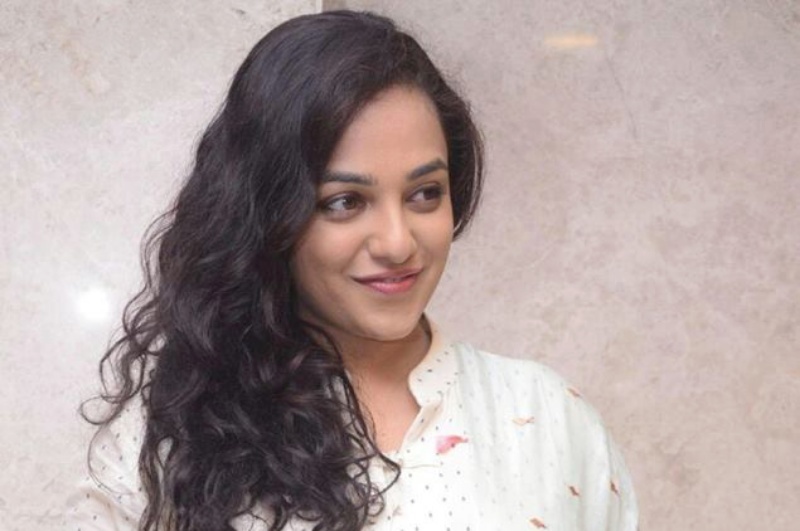 Nithya Menen was born on 8 April 1988 in Bangalore, Karnataka, India to a Malayali family. She has completed graduation in Journalism from Manipal University. She never thought to be an actor, but planned to be a journalist. But later she decided to be a film-maker and joined a course in cinematography at the FTI Pune. During the educational entrance examination she met director B. V. Nandini Reddy, which turned Nithya a successful actress. Nithya Menen made her acting debut as a child artist in an Indo-English language film The Monkey Who Knew Too Much in 1998. She started her acting career as a lead actor with the Kannada film 7 O' Clock (2005), directed by Santosh Rai Pataje. Her first Malayalam language film is Akasha Gopuram (2008). She made her Telugu debut with the superhit movie Ala Modalaindi in2011. Later she was seen in the film 180 alongwith Siddharth and Priya Anand. She worked many commercial successful films such as Gunde Jaari Gallanthayyinde, Malli Malli Idi Rani Roju, O Kadhal Kanmani, 24 etc.